Hi. My name is Alan Cawthorne and I'm a HCPC (Health and Care Professions Council) registered Podiatrist and a member of the 'Society of Chiropodists and Podiatrists'. I graduated in 2012 from the Durham School of Podiatry with a BSc (Hons) in Podiatry. HCPC registration number: CH32731. 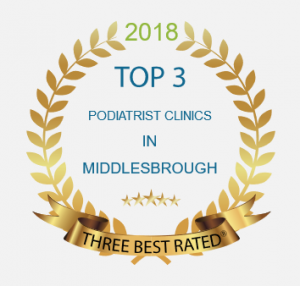 I've been practicing podiatry since September 2012 running my own private clinics with a specialist interest in Biomechanical Musculoskeletal issues. Do I Enjoy Working With Feet? Many people ask me do I enjoy my job and why I want to work with feet. First of all, I do enjoy my job as it is very rewarding to see people have comfort put back into their feet and regain mobility. Secondly, I feel I work with people, not just the feet. You have to listen to what the patient is telling you and look at the person as a whole. Having said that, the body starts at the feet and works up over, so if the feet aren't functioning correctly, the body will be trying to compensate through a different part of the body which could result in knee, hip, or even lower bIack pain! Prior to retraining to be a Podiatrist, I had a 20 year career as a computer engineer, working in many different industries and a large variety of job roles. I still use my computer skills in many aspects of running my private clinics and am very keen to utilise technology to make health care more efficient and of greater benefit to the patient. 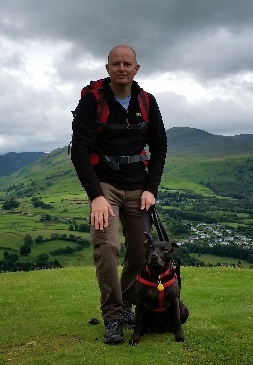 Outside of my work I enjoy walking in the Yorkshire Dales with my wife and dog.